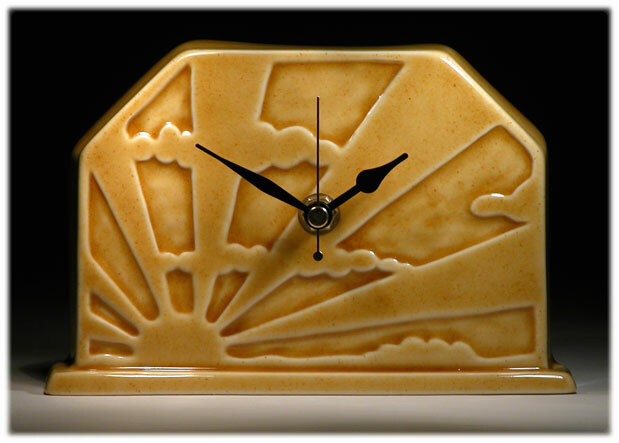 This timepiece was inspired by a classic British Art Deco Sunburst & Clouds design. These attractive designs were often used on Radiograms, Windows and Doors during the 1920's & 30's. This piece has been finished in Echo Of Deco's Amber Sunrise glaze, but is also available in many of the studio's other unique glaze colours.